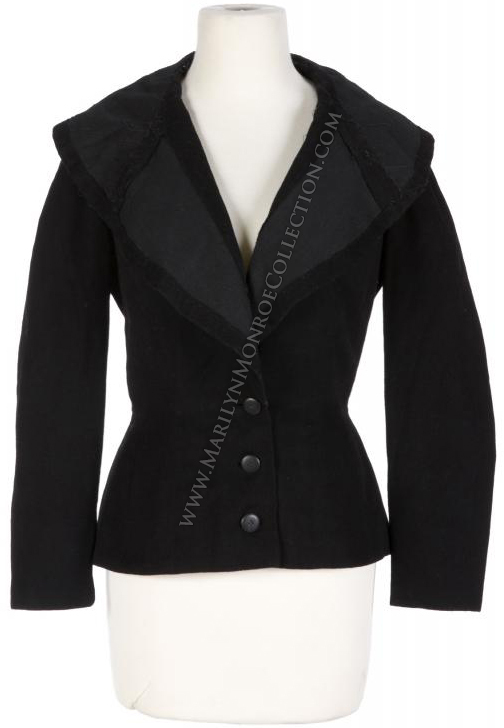 From the personal wardrobe of Marilyn Monroe: A black wool tailored jacket, lined with pale pink and ivory striped silk. This jacket was custom-made for Marilyn, and she wore it with an accompanying mink fur collar, also part of this collection. An obvious favorite, Marilyn wore this jacket and fur regularly when living in New York City. 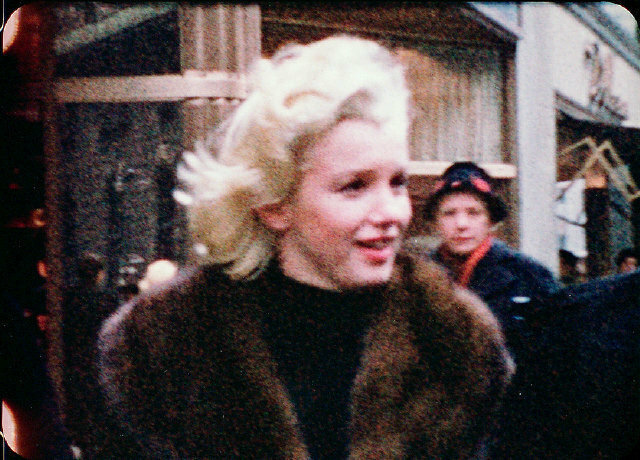 Film footage below shows Marilyn wearing the jacket while walking in New York City in 1955. Photos below show the many different times Marilyn wore this jacket and fur collar. A candid image of Marilyn on the streets in New York City, 1955. Copyright Peter Mangone. Marilyn shopping at Elizabeth Arden, New York City, March, 1955. The Jewish Awards Ceremony, 1956. Marilyn’s conversion to Judaism won her praise from all the Jewish American associations. At the end of 1957 she received an award for her work promoting the Brotherhood of Peoples. 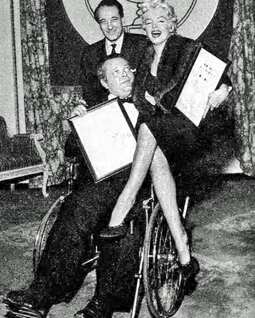 Orson Welles also received recognition during the same ceremony. Inside the offices of Marilyn Monroe Productions. 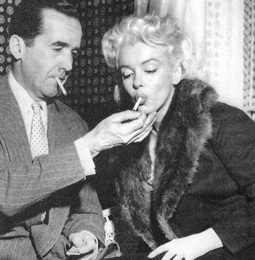 Marilyn meeting with Edward R. Murrow, days before her televised “Person to Person” television interview on April 8, 1955. 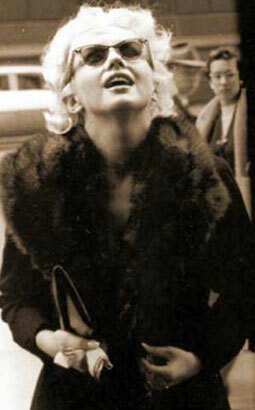 A candid image of Monroe wearing the collar, likely in New York City, 1955. Attending the Banshee Luncheon on April 26, 1955. At Milton Greene’s New York Studio. 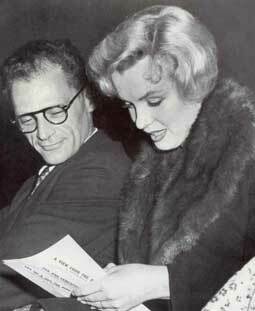 Attending the preview of Arthur Miller’s play “View From The Bridge” at the New Watergate Club Theater in London, September 9, 1956. On a mild mid-morning…I was walking towards the Gladstone and as I arrived at the entrance I came upon a teenager standing outside with an 8-mm camera aimed directly at the hotel’s revolving door, which was already in motion. 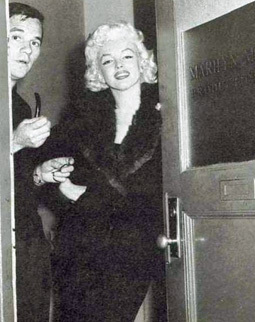 Marilyn came awhirl through the door and literally performed a 360-degree turn for his home-movie camera. She was dressed in an elegant black suit with a fur collar, her lustrous hair shoulder length, and was fully made up. Dazzling! She was about to walk from 52nd Street and Lexington Avenue over to the Fifth Avenue beauty salon of Elizabeth Arden. So I walked side by side with her; naturally, to the utter frustration of this kid who was walking backwards with his movie camera pointed at us, because I was now unavoidably in all of his wonderful footage of Marilyn. 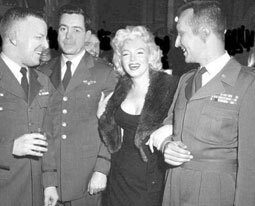 In fact, although I sought him out over the following years, he never allowed me to see the candid film he took of Marilyn and me walking across town that day. As she walked her famous walk in her very high black stiletto heels, cars and trucks just pulled over to the curb and drivers emerged from them shouting “Marilyn! Marilyn!” When we finally got the three blocks over to Fifth Avenue, we then had to walk uptown to 54th-55th Streets. As we arrived at the doorway to Elizabeth Arden’s salon, I heard the nearby sounds of an automobile crashing, and looked over to see a taxicab driver whose head was bobbing out of the passenger-side front window of his cab, the vehicle itself now embedded in the back end of a delivery truck! He had a gleeful smile on his face and was hollering, “Marilyn!” I tapped her on the shoulder and exclaimed “See what you did!” She gave me a very “Marilynesque” laugh and swept rather grandly into the salon. Provenance: The Marilyn Monroe Auction at Julien’s Auctions, November 17, 18 & 19, 2016.